The worst these cookies can do is give you a powdered sugar mustache and a very happy grin. Butter a 9 x13-inch baking dish and line with parchment. Preheat the oven to 350°F. In a food processor grind the toasted almonds, add the flour, salt and sugar and pulse to combine. Cut the cold butter into pieces and add then to the flour and process till the mixture looks like a coarse meal. Pour the mixture into the pan, distributing evenly and pressing down with your hands to make the crust. Bake the crust for 16 minutes until light brown. Reduce the oven temp to 325°F. Make the filling by combining all the ingredients and mixing well to remove any lumps of flour or starch. Pour into the crust and return the pan to the oven baking another 18-20 minutes until filling is set. Remove from oven and allow to cool on a wire rack. In about 10-20 minutes they should be cool enough to remove using the parchment to lift the bars from the pan. Leave the bars on the parchment to cool on the rack. Right before serving dust with a generous coat of powdered sugar and cut into bars. 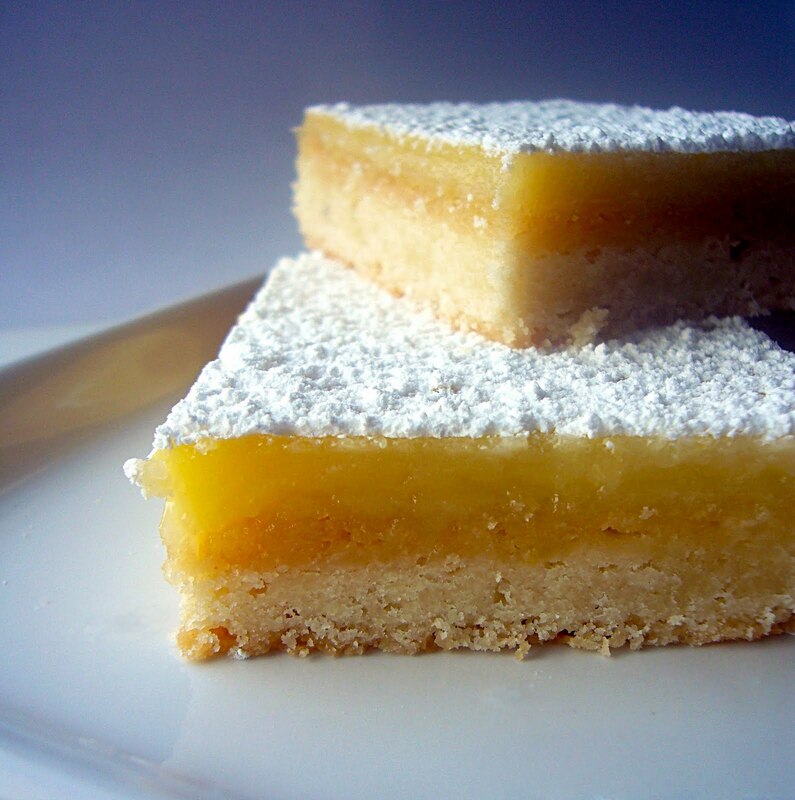 These lemon bars are best once they have cooled but are still slightly warm from the oven. However, if you must wait to serve them, keep the bars chilled. These are best eaten the same day you bake them. i don't see lemon in the recipe...? i LOVE the idea! sounds fantastic! Yikes! Just fixed that, thanks for pointing it out.